i don't *think* that is a kit - that looks like the precision chassis works race car that served as a test bed for their subaru engine conversion. his build thread is on this forum someplace (username kpaz). the rear flares look like the american international racing (air) product. the roof is a standard spec boxster roof skin available from a number of vendors. the front clip is some second gen fenders and a bumper cover - available from a number of vendors but i suspect probably gt-racing in this case (mebbe getty or mashaw). given you are in europe (for a while, anyway) perhaps save some shipping and have a look at dmoris, jacquemond, or club autosport too. Last edited by JBauer; 03-04-2019 at 12:48 PM. The problem with conversions like this for a good street car, (depending on who does the work) is by the time you buy parts and get it all dialed, might as well just by a 987. And resale is horrible. Unless it’s a race car, then fit and finish are secondary concerns. 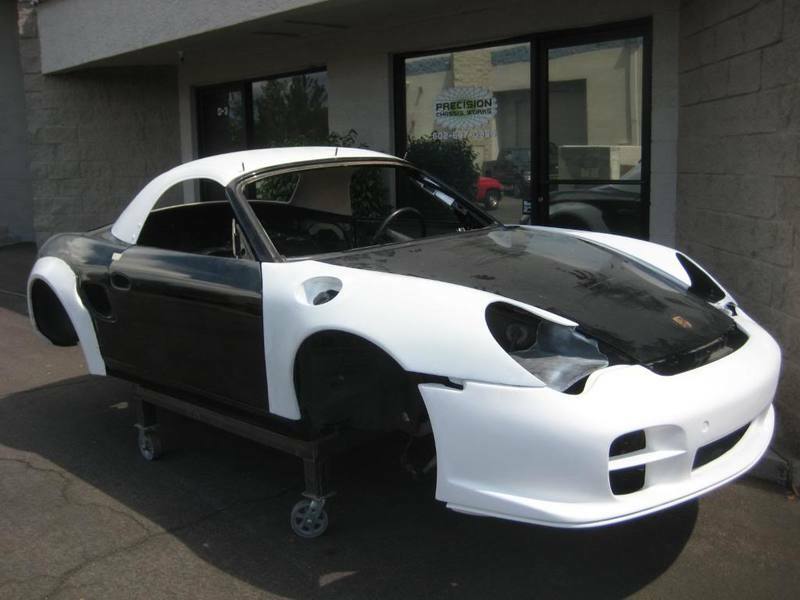 the car in question is not a 987/997 front end conversion. it is a conversion to the 996.2 headlights, but only because flared front fenders are not as readily available for early headlight cars. Isnt Precision out of business?